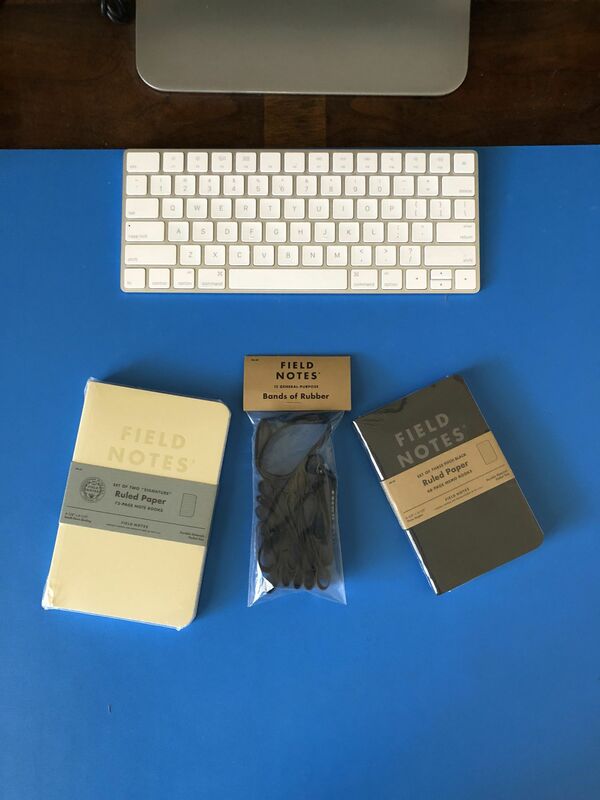 My initial order of Field Notes arrived. I went for the Black in standard sized as well as a couple of “Signature” sized notebooks. Oh, and some rubber bands because why not?